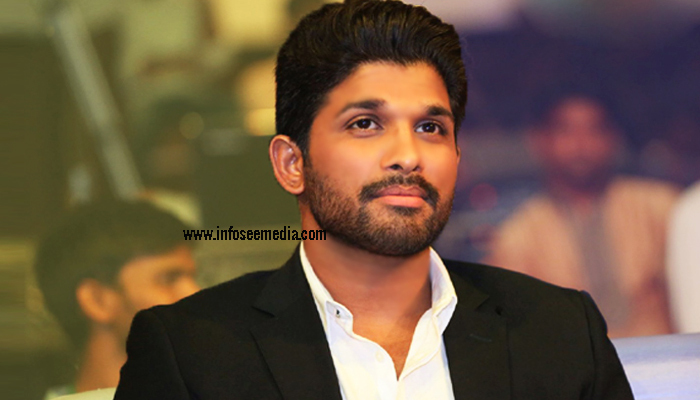 Allu Arjun is an Indian film actor who primarily works in Telugu cinema nicknamed Bunny was born on April 8th 1983. His father Allu Aravind is a famous producer and his uncle Chiranjeevi is one of the top actors in Telugu film industry. Allu Arjun is well known as Stylish Star for his unique way of acting and dancing. After playing as a child artist in Vijetha and as a dancer in Daddy, Allu Arjun made his debut in Gangotri. Allu Arjun then appeared in Sukumar’s debut film Arya. His role in arya was his break through,earning him his first filmfare Best Telugu Actor award nomination and he won a special jury award at the Nandi awards ceremony. Two CineMAA awards for best actor and best jury and the film was a critical and commercial success. He next starred in V.V Vinayak’s Bunny playing the role of Bunny,a college student. Critics praised his efforts, mannerisms and dancing. His next flick was a musical love story Happy. He then starred in Puri Jagannadh’s action film Deshamuduru in which he played the role of Bala govindham, a fearless journalist who falls with a woman with a darker past. Further success and experimentation of genres. He made parugu movie where he played the role of krishna. Allu Arjun is the nephew of the famous Telugu actor Chiranjeevi. He is also the grandson of the Telugu comedy actor Allu Ramalingaiah. He now lives in Hyderabad, Telangana. He is a good dancer in Tollywood like his uncle. He is also a well known star in kerela. All of Allu Arjun’s movies,expect gangotri were dubbed in malayalam. After playing a guest role in Shankar Dada Zindabad. He starred in Sukumar’s psychological action drama Arya-2. He played the role of Arya, an orphan who is behaviorally sick is that he is consumed with possessiveness for his friend Ajay. Allu Arjun starred in two experimental films in 2010. The first was gunasekhar’s Varudu and the next film was krish’s Vedam. His next release was Badrinath. He played the role of Badri, a warrior who assigned to protect the shrine of Badrinath by his guru to whom he is very loyal. After Badrinath, Arjun appeared in the film Julayi, an action comedy that released in 2012. Arjun played the role of Ravindra Narayan, a street-smart yet spoilt brat whose life takes a drastic turn after he becomes the witness of a huge bank robbery. He was nominated for the SIIMA Award for Best Actor. Then he starred with Puri’s Iddarammayilatho playing the role of Sanju Reddy, a guitarist with a dark past. In 2014 he appeared in a cameo in Vamsi Paidipally’s Yevadu. Allu Arjun shows what an actor can do even in a short role, in the few minutes he packs his experience, internalises the character and makes an impressives exit even as he loses his identity. His next film Surrender Reddy’s Race-gurram in which he played the role of carefree guy. Allu Arjun steals the show with his energetic performance. He is good with his comedy timing and has also improved as lot as an actor. His dancing Skills are utilised well too. He won his third filmfare Best Telugu Actor award. Allu Arjun produced and acted in a short film “I am that Change” (2014) to spread awareness on individual social responsibility. The movie was directed by Sukumar,which was screened in theatres across Andhra pradesh & Telangana on 15th August 2014. He acted in Trivikram Srinivas’s S/O Satyamurthy, which was released on 9th April 2015. Later he acted in Guna Sekhar’s Rudhramadevi, which is the first Indian 3D Historical film. For Rudhramadevi, he won the Filmfare Award for Best Supporting Actor. Later he acted in Sarainodu,directed by Boyapati Srinu. In 2016, he collaborated with producer Dil Raju for the third time for Duvvada Jaganadham. In 2018,his film under the direction of writter turned director Vakkantham Vamsi, Naa peru Surya Naa illu India was released. In the film he acted as an Indian Army soldier who has anger management issues. Allu Arjun has won five filmfare Awards South and 2 Nandi awards and According to google. Allu Arjun was the most searched Tollywood star in 2016.